How will you Support The Next? ​Olympic and Paralympic heroes Tom Daley, Katherine Grainger, Rebecca Adlington, Sarah Storey, Ellie Simmonds and Ade Adepitan are urging the British public and businesses across the country to show their support for the future of British sport in SportsAid’s new Support the Next film. After breaking two 13-year-old European records on his international debut 19-year-old Toby Gold from Thames Ditton is SportsAid's athlete of the month. Fantastic effort by SportsAid disabled triathlete Chris Goodwin who has won the TR16A class at the British Paraduathlon Championships at the Rockingham Speedway in Northamptonshire. 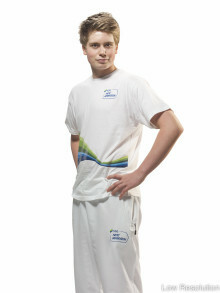 GB para swimmer Thomas Hamer, who is supported by SSE, has been named SportsAid athlete of the month after being the first S14 swimmer to break the two-minute barrier in the 200m freestyle event. 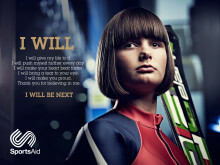 Fifteen-year-old Kent skier Millie Knight finished fifth in the visually impaired slalom and giant slalom at the 2014 Winter Paralympic Games which have just ended in Sochi. In this exclusive interview with SportsAid she explains what is was like to become the youngest winter Paralympian in the history of British sport and carry the flag at the Games' opening ceremony.